Cantaloupe of United States are actually the reticulated muskmelon. They have netted skin and strong sent. 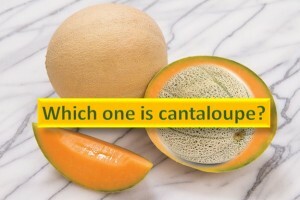 European counterpart is considered as true cantaloupe! They have smooth gray green skin.